Selling a junk car for cash is a better option than leaving your garage space occupied by your wrecked car. The more you delay the process of selling your wrecked car, the less money you are going to get for it. Why not sell your car fast and add some extra bucks in your pocket? To help ease the process of selling your junk car for cash Sell the Cars is always at your service. We are going to pay you guaranteed the best price for junk car and pick up facility almost anywhere in the USA. Even if you are not selling your wrecked car today, you must know the steps involved in the process. Whenever you plan to sell your junk car keep in mind a few important points and you will end up settling a great deal. Junk Car Worth: Knowing the value of your junk car before you begin the process of selling it is very important. For that analyze the condition of your car carefully. Is it in a working condition or not? Is the engine still running? Is it poorly damaged? Asking yourself such questions will help you estimate the worth of your car in advance. However, when you sell your car to us you need not worry about all the above questions. Searching Junk Car Buyers: Once you have figured out your junk car worth, start looking for the best junk car removal company. You can easily find a number of junk car buyers online. But whom should you trust? Carefully skim through the websites of various junk car buyers and fill the online car description form. Filling Get a Quote online form helps you in getting an offer for your junk car. You can compare the prices offered by different junk car buyers. Title Requirement: When you have decided to sell your junk car to a particular junk car buyer, get ready with the title. Your title is a proof that the wrecked car you are selling legitimately belongs to you. However, there are many junk car removal companies that accept junk cars without a title. Final Settlement: The last step involves the final settlement where a junk car buyer chosen by you comes to tow your wrecked car away. You are paid on the spot by the buyer either in cash or check. Mostly you are not even charged for towing away your junk car. We are there to help you sell your car fast in almost no time. When you choose us to sell your junk car for cash you are at the right place. We are spread all over the USA with 400 offices so you can find us anywhere. We specialize in buying all types of cars, trucks, and SUVs in non-running or perfect condition. We buy cars manufactured from the year 2002 and new. 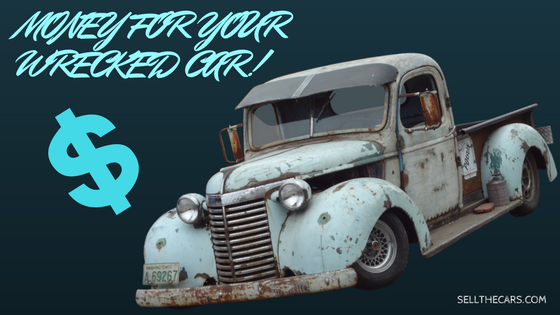 Fill our online Get a Quote form to know the worth of your junk car. We assure you to pay the best price for your wrecked car. So begin the trouble-free process of selling your junk car for cash today. Have a word with us over the call to discuss how you can sell your car fast.